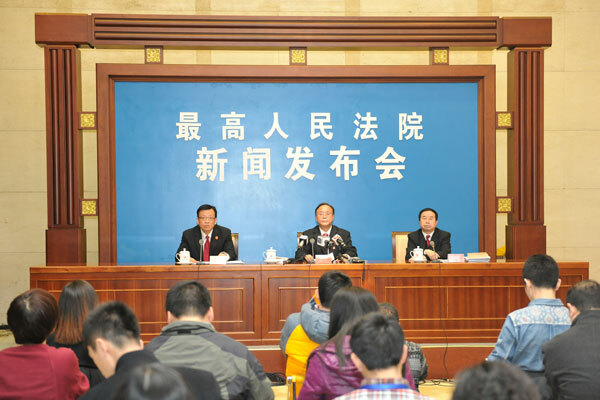 The change in parole procedures also are a good example of how results of investigations by the Central Commission for Discipline Inspection (CCDI) and Central Political and Legal Committee policy documents are eventually are translated into improvements in legal procedures. November, 2014 procedures issued by the Court along with the Ministry of Justice, Ministry of Public Security, Supreme People’s Procuratorate, and National Health and Family Planning Commission on medical parole and related issues (暂予监外执行规定), establishing stricter guidelines. Model cases on parole and commutation, to guide lower court judges in their work, and inform the public on these reforms. Lin Chongzhong, former deputy mayor of Jiangmen. It appears that these reforms can be traced back to CCDI investigations in 2013 (and possibly earlier), because in August, 2013, the CCDI website carried a summary of a speech by Xi Jinping at a CCDI conference in which he calls for reforms to parole procedures. 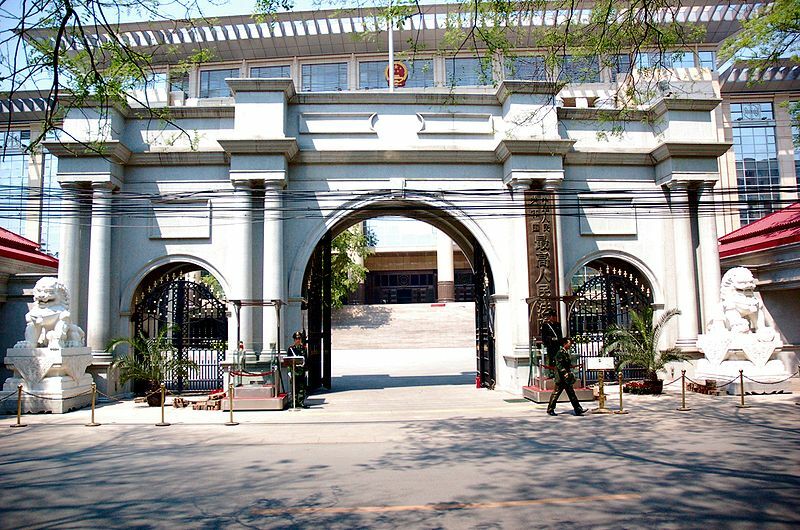 At about the same time reports of investigations into prison officials were released by CCDI, such as one of a Hunan Province Justice Department (the Justice departments run the prison) official who was found to have almost USD 2 million (12 million RMB) in assets disproportional to his income. Many other prison officials in other provinces have also been investigated. 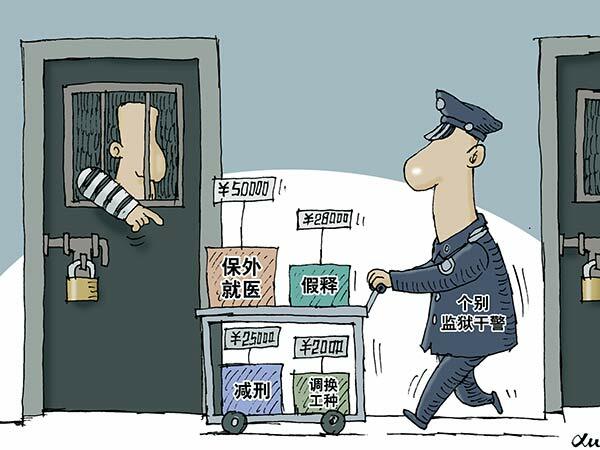 Reducing corruption in the justice system and giving Chinese people more confidence in it is a multi-faceted process, with greater transparency needed across many areas. 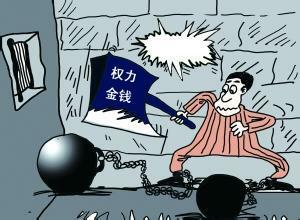 These reforms to parole and commutation procedures are likely to be one of the accomplishments that President Zhou Qiang will be able to point to when he gives his report to the National People’s Congress next month, particularly as the August, 2014 regulations are listed as one of one of the Court’s 10 major policy accomplishments of 2014. Additionally, the internet platform also serves as a window into criminal activity in China, such as the recent application by a Han native of Xinjiang, convicted in Beijing of dealing in drugs, but who was permitted by the Chaoyang District Court to serve his sentence outside of jail for the next six months, because he has AIDs. When will the Supreme People’s Court become a tourist destination? 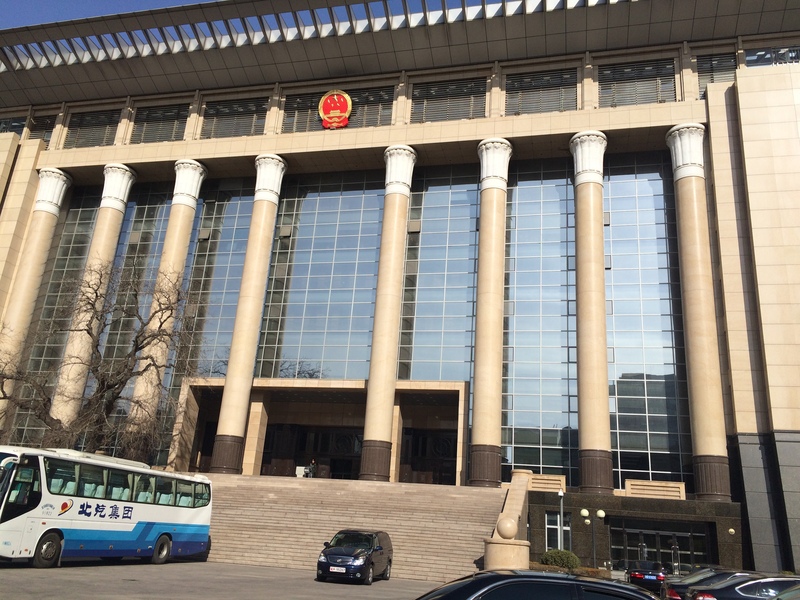 I had the good fortune to have a meeting with some judges of the Supreme People’s Court last week in the main building of the Supreme People’s Court. The rules are now such that photographs of the gate (and nameplate of the Supreme People’s Court) are forbidden, a contrast to 20+ years ago, when I was able to ride my bicycle along the road fronting the Court. As the Supreme People’s Court guides the courts towards more transparency and public access, I look forward to the day when it can become a tourist destination and its hearings more open to the Chinese and foreign public. In early February, I published an article in The Diplomat, focusing on little understood post 4th Plenum developments on Chinese military law, which (to my surprise) was summarized and translated by Chinese official media. 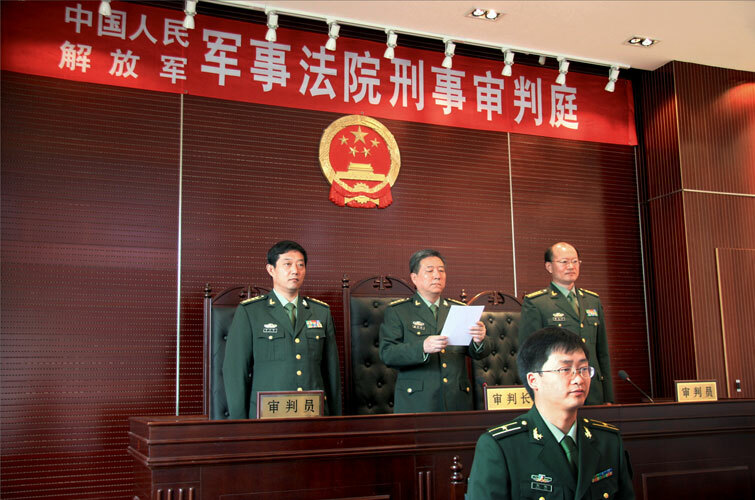 Professor Zhang Jiantian of China University of Political Science and Law recently published an article in People’s Court Daily on issues affecting the military courts, in which gives the outside world a glimpse of the gated Chinese military legal community and sets out his recommended reforms. My article in the Global Military Justice Reform blog summarizes Professor Zhang’s views and recommendations.